Getting Pregnant Is One Thing. Staying Pregnant Is Another. An ambulance bag containing “lifesaving equipment” was stolen on Christmas Day while paramedics helped a patient. 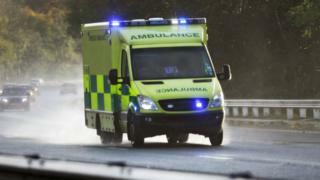 South Central Ambulance Service (SCAS) said the theft happened in Wingfield Street, Portsmouth, at 17:40 GMT. On Twitter, a spokesperson said a man wearing a balaclava grabbed the bag and went off on a bike while the crew helped a patient into an ambulance. SCAS has asked the public to contact the ambulance service or Hampshire Constabulary with any information.